Duke Nukem 3D is the third title in the Duke Nukem series of action games. It was developed by 3D Realms and released in 1996 as a Shareware release that offered a portion of the game for free. This shareware release included the first episode or chapter titled "L.A. Meltdown" where Duke fights through Los Angeles. The full version, released shortly after the shareware version, includes two additional chapters titled "Lunar Apocalypse" and "Shrapnel City". In addition to being immensely popular with gamers, Duke Nukem 3D was critically acclaimed as well for its level design, gameplay, and graphics. Set in the early 21st century, players assume the role of Duke Nukem as they try to fight back an alien invasion. The game consists of a number of levels featuring indoor and outdoor environments that can be completed in a non-linear format. Players guide Duke Nukem through these environments fighting alien enemies as they try to achieve various objectives. The environments and levels in Duke Nukem 3D are both destructible and interactive. Players will be able to interact with various inanimate objects found in the game such as lights, water, non-player characters and more. Duke Nukem 3D features both a single-player campaign and a multiplayer mode. The single-player mode revolves around the levels and missions previously mentioned and contains a semi-humorous storyline containing many references to popular films at the time of its release. There are also cameos (as dead bodies) of popular movie characters such as Indiana Jones, Luke Skywalker and Snake Plissken to name a few. Duke Nukem 3D also features a multiplayer game mode. Multiplayer gaming was in its infancy when Duke Nukem 3D was first released, but players were able to connect via modem, LAN or serial cables. There was also multiplayer support over early gaming networks such as TEN. The multiplayer games took place on the same levels/environments found in the single-player story campaign. Duke Nukem 3D was originally released for MS-DOS. Since it's release it has been ported to nearly every major console system and operating system. This includes Windows XP, 7, and 8. Xbox 360, Xbox One, PlayStation 3 & 4 as well as older Nintendo and Sega systems and mobile. The Duke Nukem 3D source code was released to the general public in 2003 which has led to a number of custom PC ports that keep the same graphics and gameplay while offering some enhancements. These include source ports for EDuke32, JFDuke3D, nDuke, and many others. Some of these source ports also include multiplayer capability. 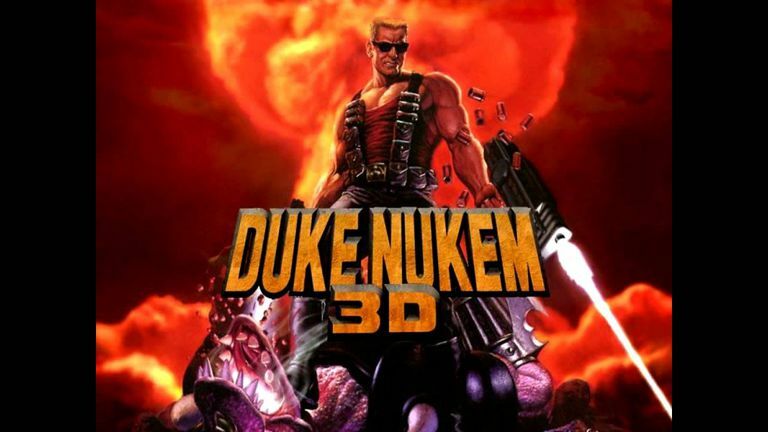 While the source code is available for free and many ports the original Duke Nuke 3D has never been released as freeware. In addition, many of the source ports require specific files from the original game files. While the game has not been released as freeware there are a number of third party websites that offer the source port downloads as well as the original game downloads. Older versions of the game would require an MS-DOS emulator such as DOSBOX.